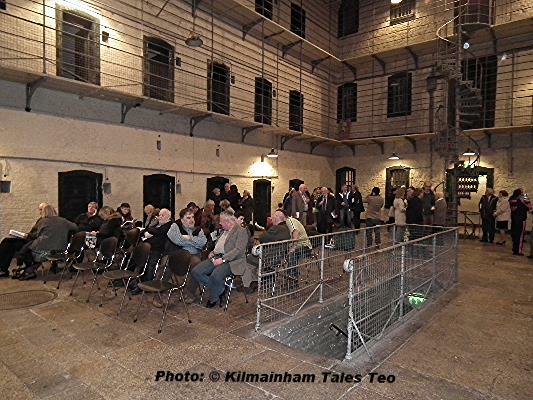 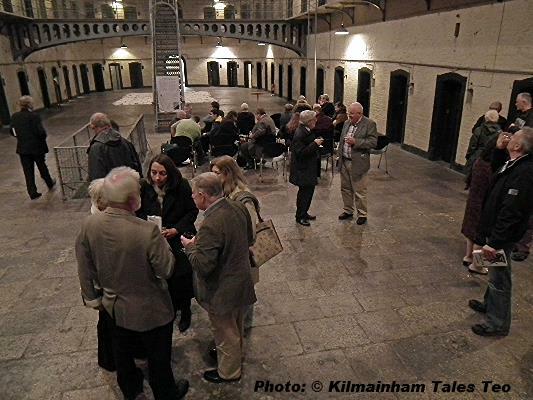 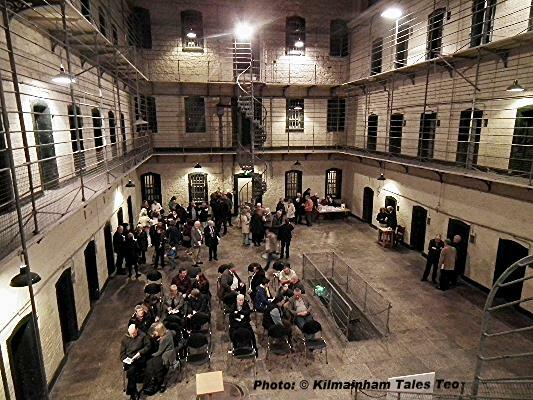 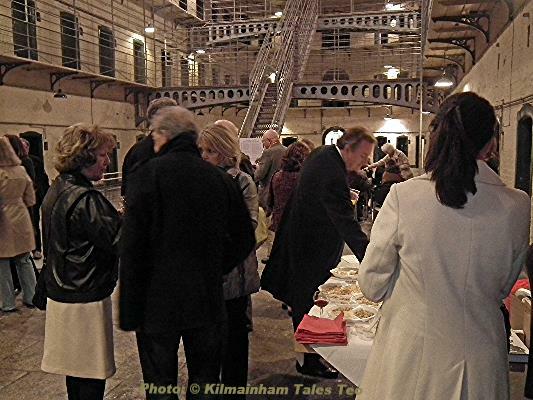 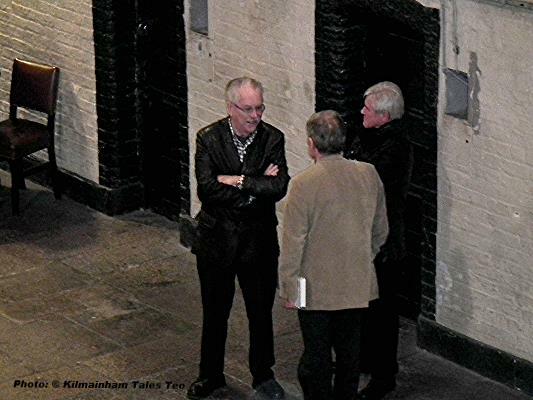 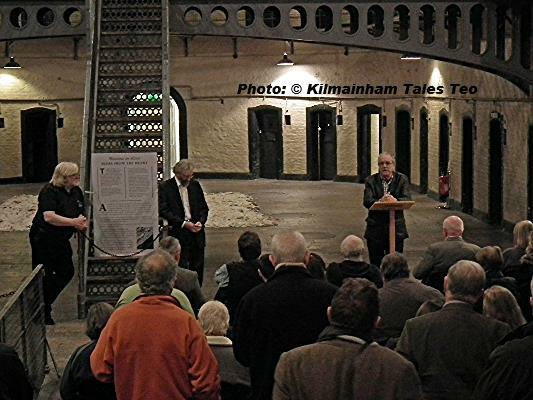 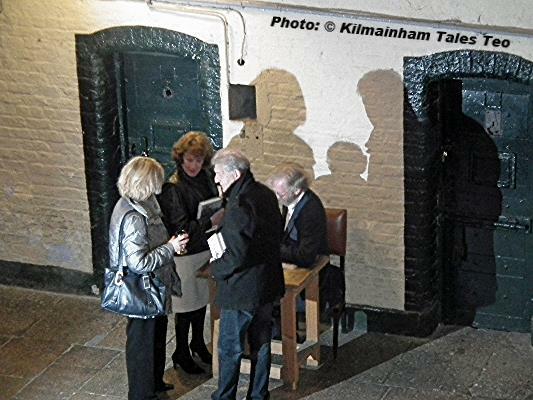 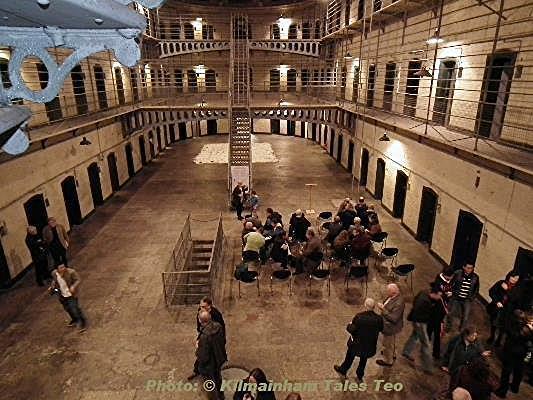 On Wednesday October 23, 3013, Kilmainham Gaol hosted the launch of Ray Bateson’s latest book ‘Memorials of the Easter Rising’. 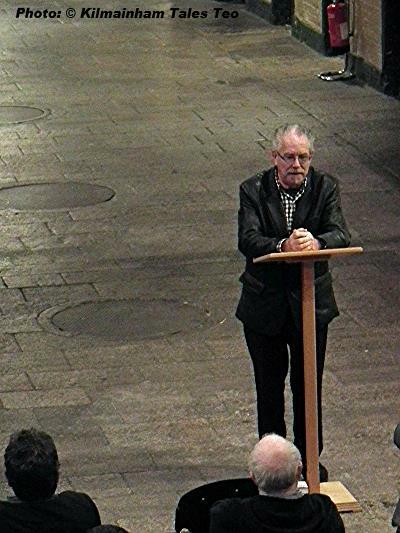 A very large crowd was in attendance to hear Irish artist Robert Ballagh formally launch the book. 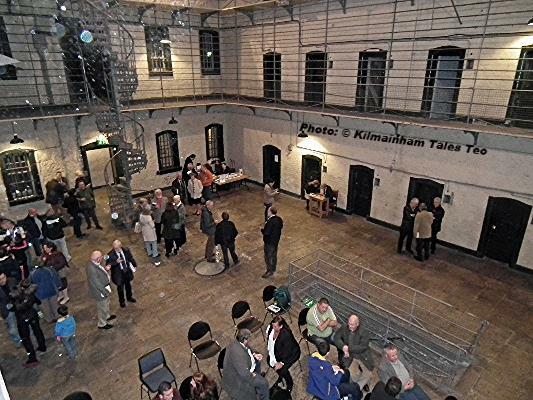 The formalities were begun by Kilmainham Gaol Information Officer Mícheál Ó Doibhilín, who welcomed (in Irish and English) all on behalf of the Office of Public Works and Kilmainham Gaol. 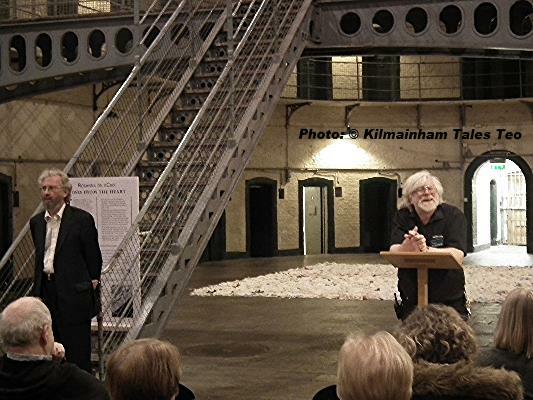 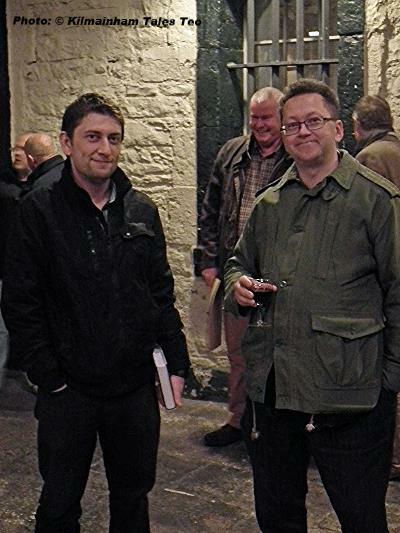 He pointed out that it was fitting that the book be launched in the Gaol as it was itself a memorial of the Rising. 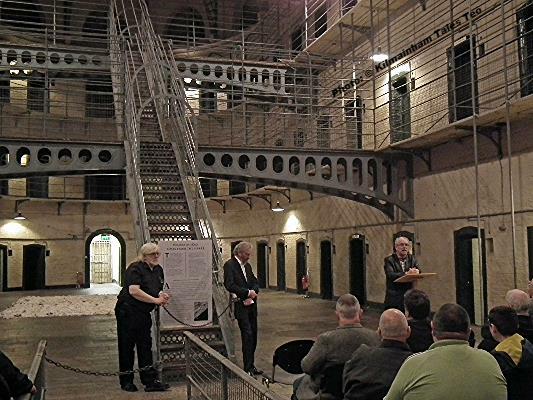 However, he noted that the prison became a memorial because of the events that occurred within its walls, whereas the memorials Ray had gathered for his monumental work (no pun intended!) 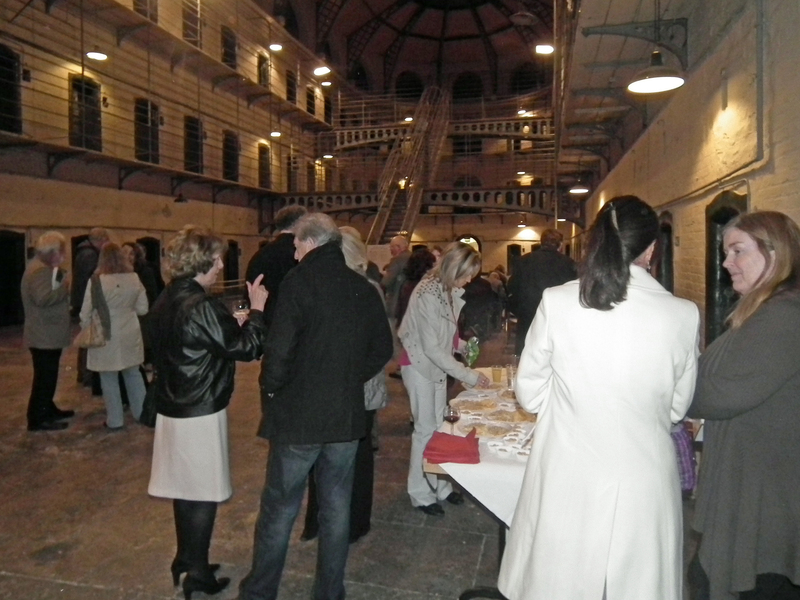 were placed where they are afterwards, by people who wished to remember a place, a person or an event. 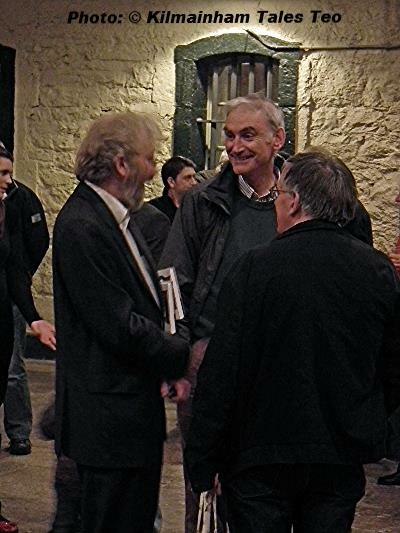 He complimented Ray on a magnificent work, which adds favourably to the body of work he has already produced, and which should become a mandatory item on the shelves of all interested in the period. 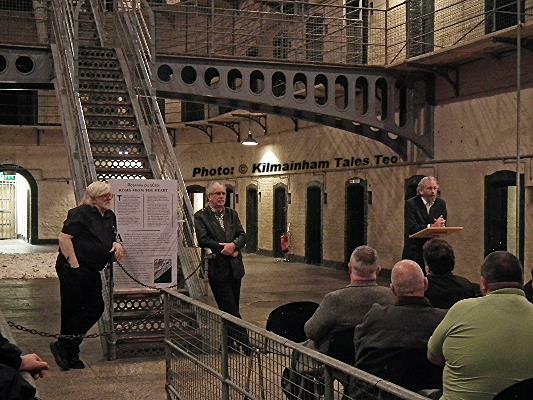 Mícheál also commented on the international recognition of Robert Ballagh, one of his own artistic idols, and expressed his pleasure at being able to introduce him to the audience in such an iconic setting. 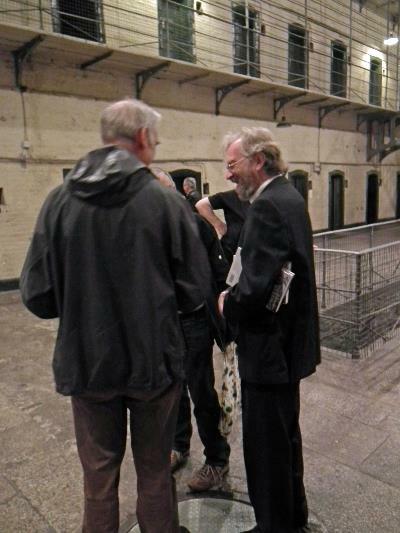 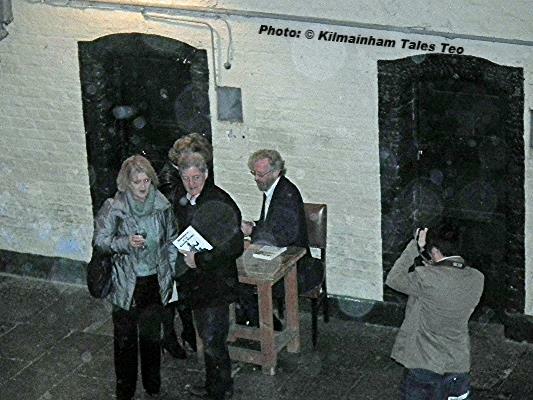 Robert thanked Mícheál, remarking that this was his second visit to Kilmainham Gaol in a short space of time. 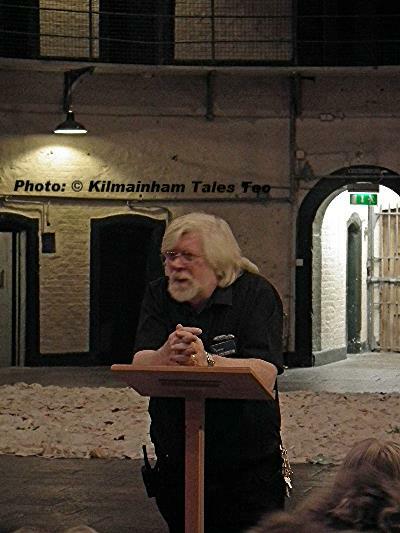 Speaking about Ray’s book he noted the necessity to remember the events of Easter 1916. 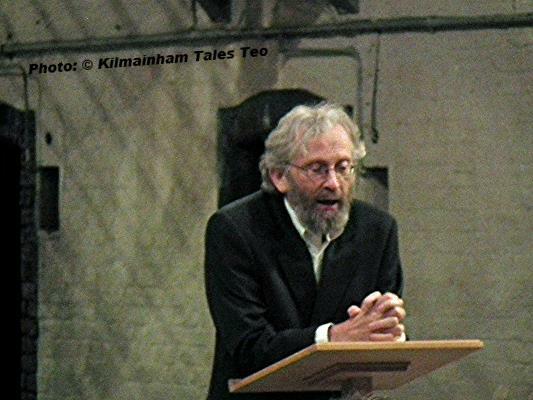 Robert referred to other iconic sites such as Moore Street and their link to the Easter Rising and what is (or is not) being done to preserve them. 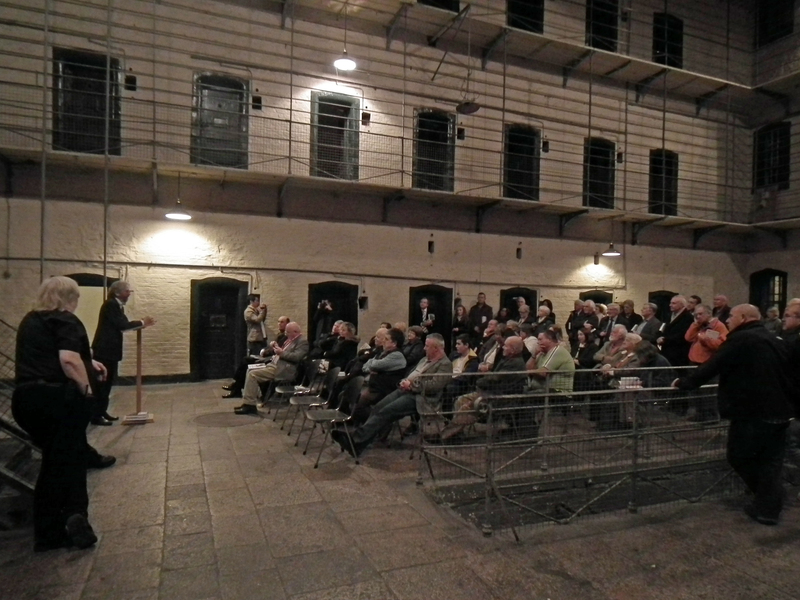 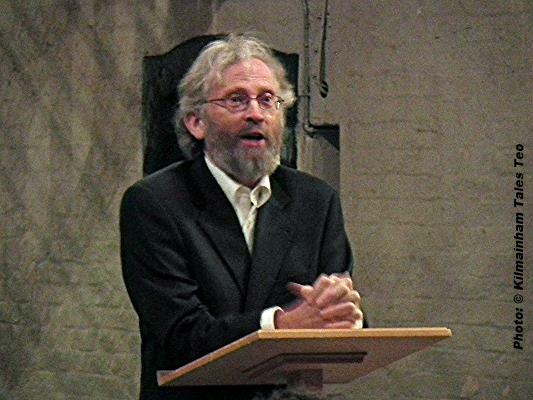 He discussed the aims of those who fought in 1916, and their aspirations for this country, and wondered what they would think of recent developments in Ireland, our debt to foreign money markets, and the hardships being suffered by the ordinary people of Ireland as a result – something not unlike what happened during the Great Famine. 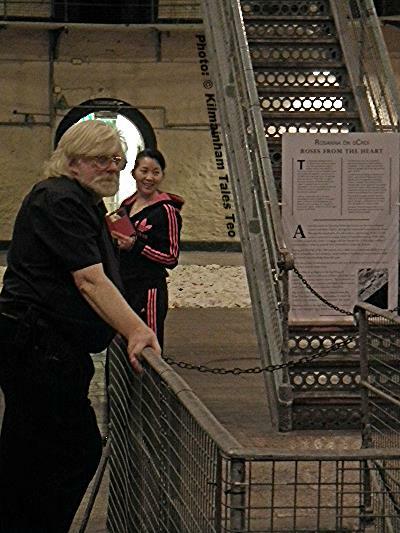 Ray’s book, he said, is an incredible labour of love, researched over many years and all over the whole island. 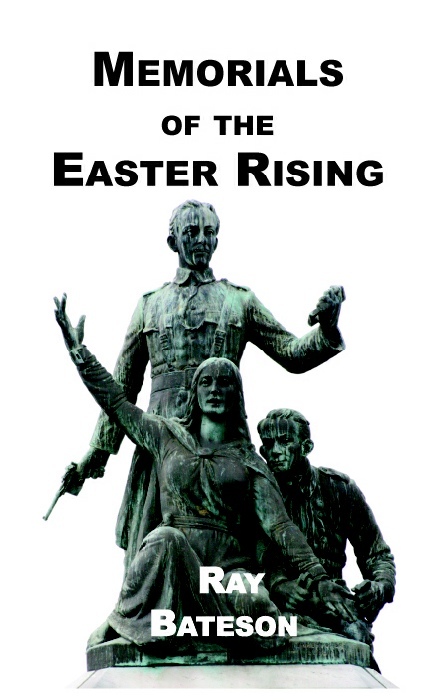 There are memorials to many of the better known participants in the Easter Rising, but also to others, and other events. 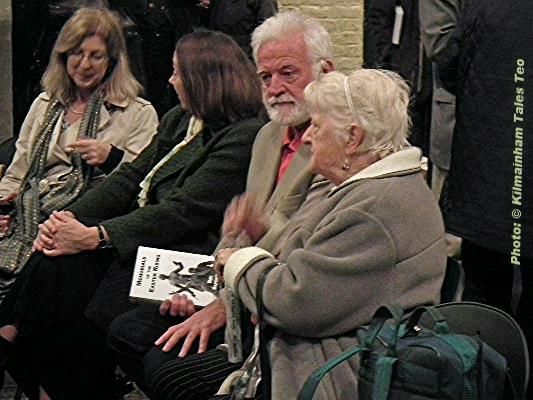 A comprehensive book, Robert commended it to all present as an essential part of the remembrance of that great event. 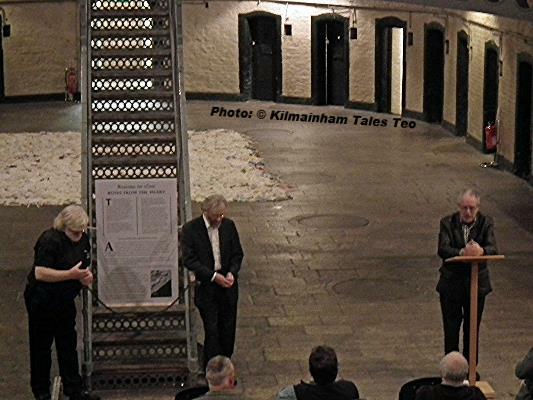 The author spoke next, thanking the previous speakers for their kind words. 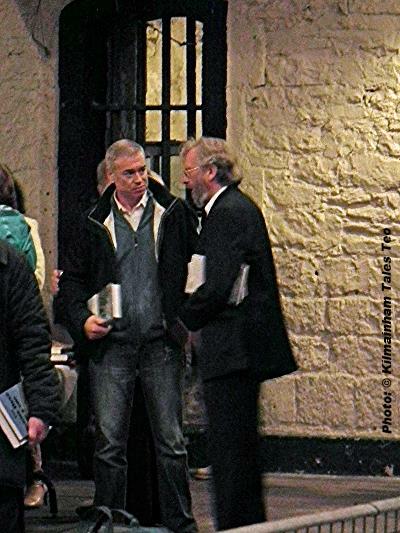 While the book is comprehensive, he said, it was certain that it was not complete. 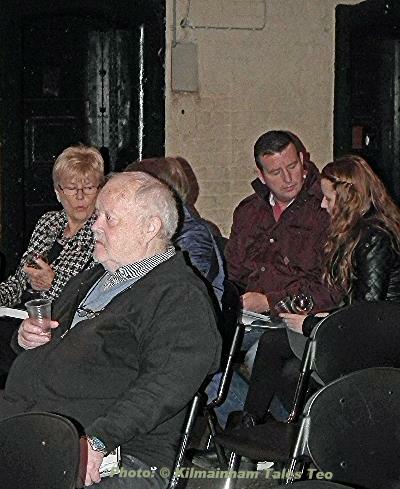 No doubt someone in the audience would tell him, before the night was out, of a memorial he had missed! 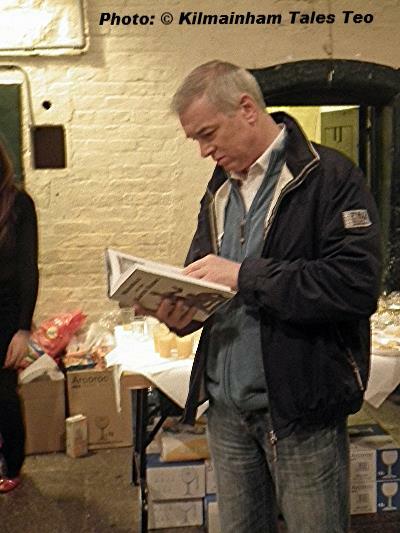 But he welcomed this information and all additional memorials would be included in a second edition – or an extra volume if the number required it. 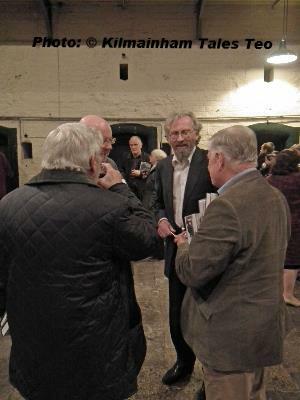 Ray talked about the need to remember, and hoped that his book would encourage people everywhere to look again at their local memorials and, where necessary, repair and clean them as we approach the centenary of the Easter Rising. 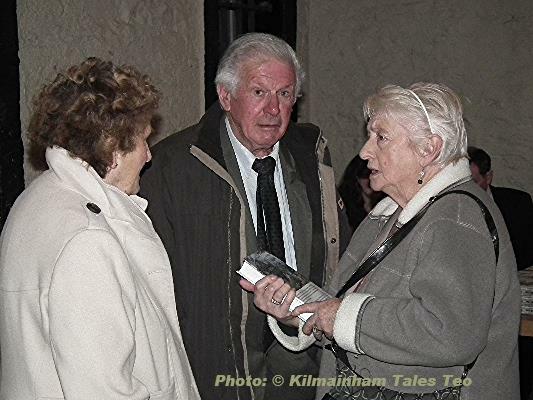 The book had taken over ten years of research, travelling the length and breadth of Ireland. 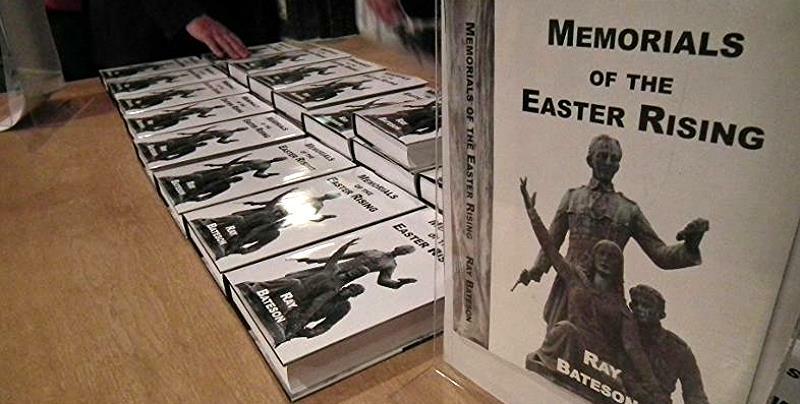 Ray said that he hoped, through this book, to have provided a resource which would be of use to all who remember or research this period. 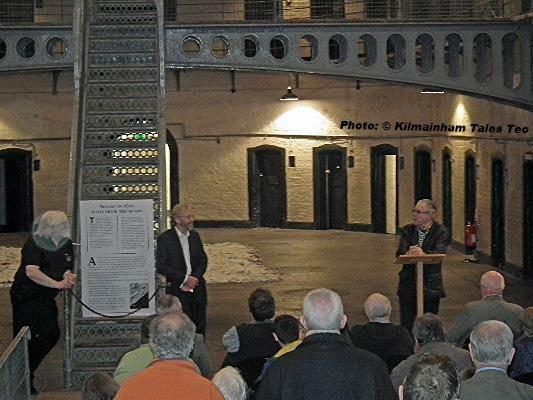 He thanked all who helped in the production of the book, and especially the brave men and women who inspired it. 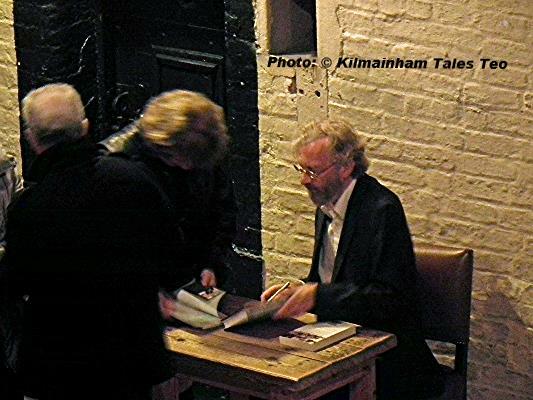 It was notable that virtually everyone in attendance carried at least one copy of the book with them, and Ray spent much of the night signing copies. 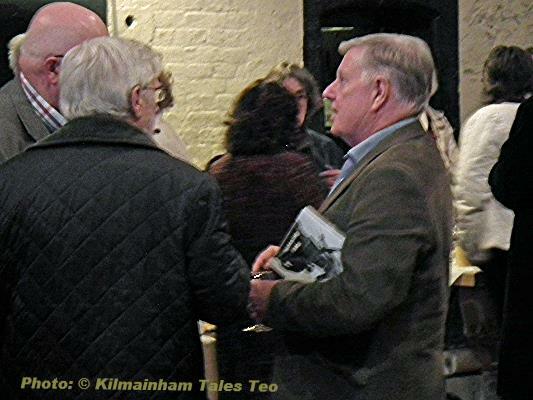 The large crowd in attendance certainly appreciated the evening and the book. 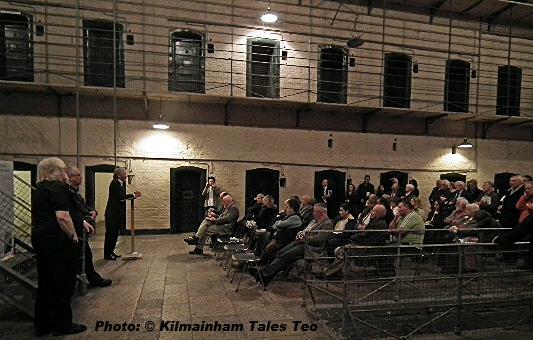 Kilmainham Tales spoke to many of those present – and all were unstinting in their praise of this book. 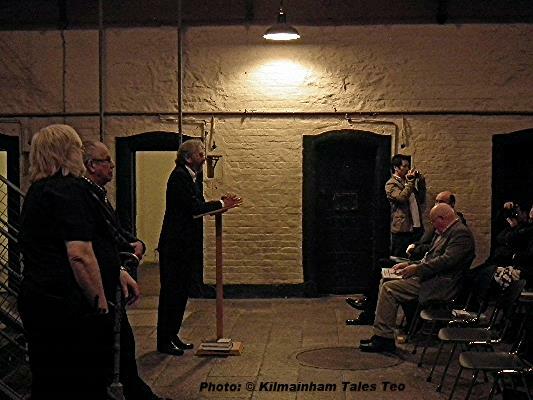 We noted members of The National Graves Association, The Irish Volunteers, The '16-'21 Club etc. 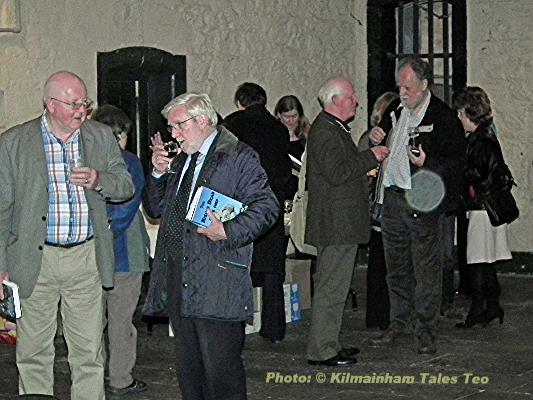 present, with many other authors (including Las Fallon, Paul O'Brien, Liz Gillis and Shane Mac Thomais) and historians also there. 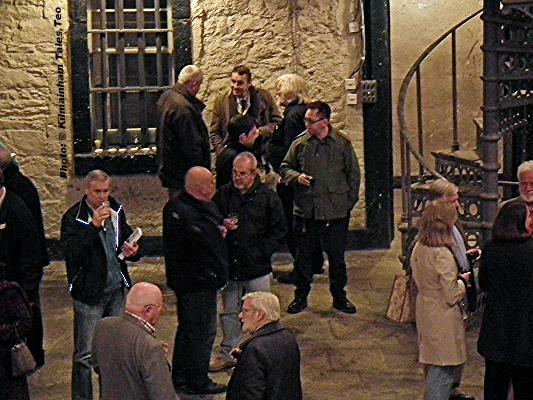 Have a look at the photos and see who you can spot! 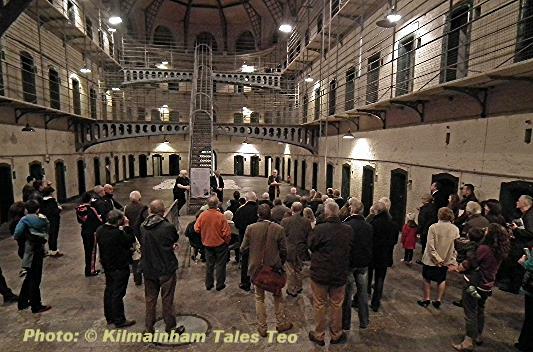 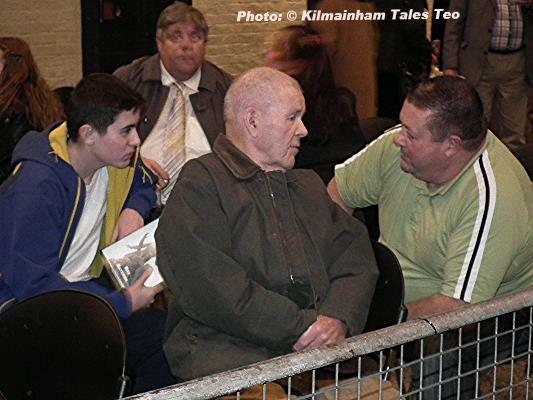 All photos (c) Kilmainham Tales Teo., and taken by Mícheál Ó Doibhilín and Patrick Mannix.